When I got engaged, I started planning my wedding right away. Before I knew it, I was waist-deep in Pinterest boards, bridal magazines, and cake samples—and loving it. There was just one problem: in all my planning, I realized that there were a lot of wedding traditions that I didn’t like. Or, at least, didn’t connect with. Of course, I knew that some wedding traditions are old-fashioned (looking at you bride-wears-virginal-white), but I was prepared for that. What I wasn’t prepared for was how many traditions separated the bride and groom. 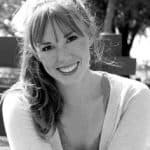 Between the separate bachelor/bachelorette parties, ladies-only wedding dress shopping excursions, and even the tradition of not seeing each other the day of the wedding, I felt like my fiancé and I were being pushed away from each other. Which, call me crazy, but I’m pretty sure is the opposite of what’s supposed to happen with a wedding. Between a bridal shower, bachelorette party, and more, I would spend a lot of time with my mom and my friends, but I really wanted my future husband to be there too. 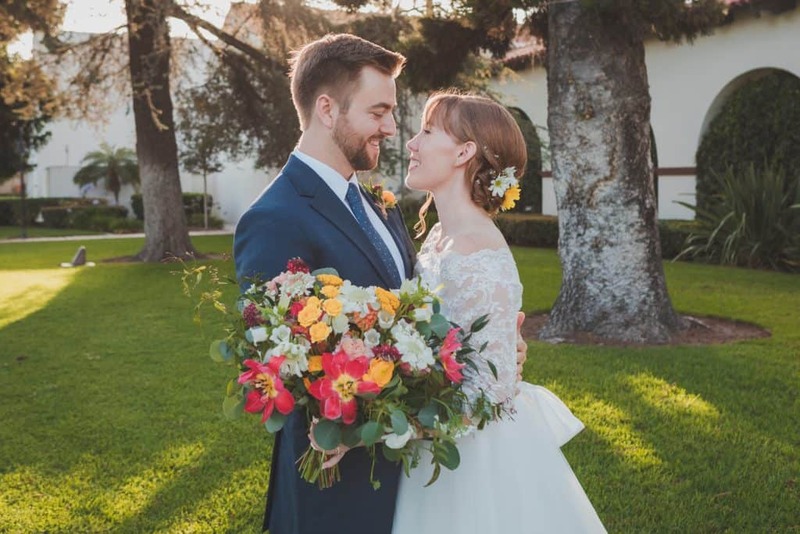 It was our wedding and I wanted to share every experience leading up to it with him. In my frustration and (moderate) case of wedding planning mania, I did some Googling. I wanted to find out where these separation traditions came from in the first place. As it turns out, back when most of these practices started, it was common for couples to only know each other for a short period of time before getting married, if they’d even met at all. So, It makes sense that the couple would spend more time with their friends and family than they would with each other (after all- they likely knew their friends better than their future spouse). But these days, people date for a long time. My husband and I were together for nearly a decade before we got engaged, so when it came to wedding plans and pre-wedding parties we decided to do things a little differently. Here are some of the things we did to put a twist on wedding traditions, making our wedding more modern and more about us. 1. Shopping for the dress together. I know that it’s supposed to be bad luck to see the bride’s dress before the wedding, but I was willing to take that risk. I wanted my husband to help me dress shop because I knew he’d be good at it. He’s always been pretty stylish and he has a good eye for what looks good (and bad) on me. Plus, I didn’t want to (potentially) spend thousands of dollars on a dress without at least getting his opinion on it. If seeing the dress before the wedding was bad luck, spending lots of money on an outfit the groom hated had to be even worse. We ended up going to a few different shops and, while I felt like dress shopping took a long time, having my fiancé there made it so much fun. Shopping for a dress can be stressful and it was nice to be able to talk to my future husband about it, look at pictures together, and get his opinion on different styles. I wanted the wedding to be about both of us, and both of our tastes, and I was happy my dress was included in that. 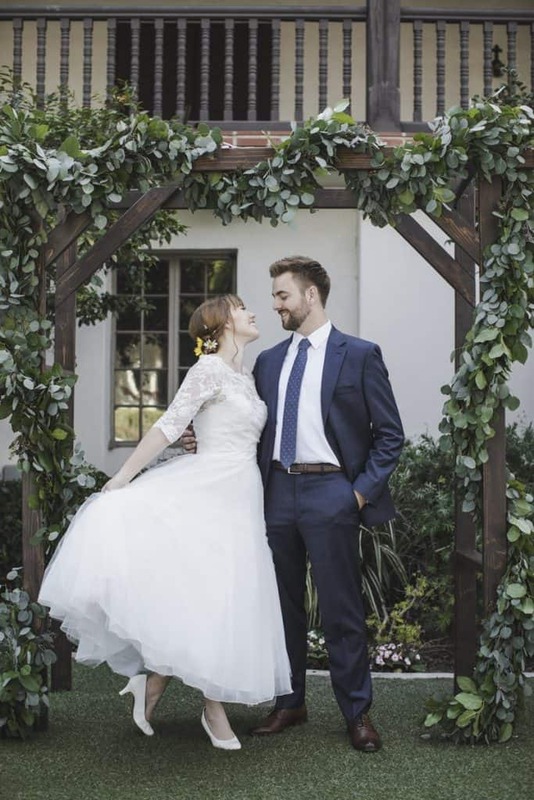 I know you might be thinking that maybe some grooms won’t care that much about what their brides wear, or that they won’t be able to pick up on subtle differences between dresses (to be fair- I was useless when trying to help my husband pick out a suit). But at the end of the day I loved having the experience of shopping together and it made me feel even more confident with my dress. 2. Throwing a duel wedding shower. When it came time for my bridal shower, I had decided that I wanted a more traditional shower- just me and all our closest female friends and relatives. But lots of couples think it’s even better to do it together. And I think they’re on to something. While I had a more traditional bridal shower, my husband and I also threw a duel engagement party. Right after we got engaged, we invited our closest family and friends over for drinks and appetizers to kick off our marriage celebration. It was a great way for our families to get to know each other, and it felt good to have a casual pre-wedding celebration we could enjoy together. 3. Choosing decor and decorations as a team. Maybe it’s not necessarily a written tradition, but after seeing a lot of friends get married, I realized that a lot of times the bride plans the bulk of the wedding and makes almost all the style decisions. I thought that sounded unfair: I didn’t want to plan a whole wedding by myself and I also didn’t want to leave my fiancé’s style out of our big day. In the end, we found that we were able to do almost everything together. 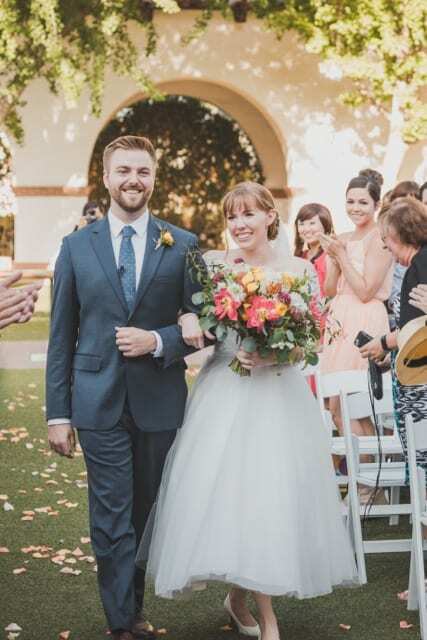 We went on every venue tour together, we looked on Pinterest for flower ideas together, and even picked out wedding favors together (we decided on cookies- they were delicious). In the end, it was a great way to practice making decisions as a couple and we got to spend some quality time together looking forward to our big day. 4. A combined bachelor/bachelorette party. The idea of a “last fling before the ring” or “last night of freedom” seemed so unnatural to me. My husband and I have never been big party-goers, but when we do go out, we’re always together. We liked the idea of going out with our friends for a “girl’s night” or “guy’s night” but we decided that this particular party was in celebration of our wedding, and we wanted to be together. In the end, the two of us, plus all the bridesmaids and groomsmen, rented a house for a weekend-long pool party—and had a ton of fun. It was a great way to let the bridal party get to know each other before the wedding and it was a chance for my future husband and I to spend some relaxing quality time together before getting back to wedding planning. 5. Walking down the aisle together. There’s nothing quite like those pictures of the groom getting teary eyed as he watches his bride come down the aisle… but I found that walking down the aisle together is just as special. I always hated the idea of being walked down the aisle and being “given away.” It just wasn’t something I was comfortable with—so I decided early on that I didn’t want to have a parent walk with me. To make matters worse, I can get pretty bad stage fright and didn’t love the idea of walking down the aisle alone (with everyone looking at me). In the end, my fiancé and I decided that we should walk down the aisle together. We felt that it symbolized our togetherness and support for one another, and we liked that it was a little different from the tradition. As an added bonus, I loved having a quiet moment alone with my soon-to-be husband outside the venue, peeking in at everyone in their seats, before we walked in. 6. Writing your ceremony together. Just because others use those classic vows doesn’t mean you have to. In fact, it could feel even more special if you write your own together. Of course, some religious ceremonies will have a set script, but when you can personalize your ceremony, I say do it. 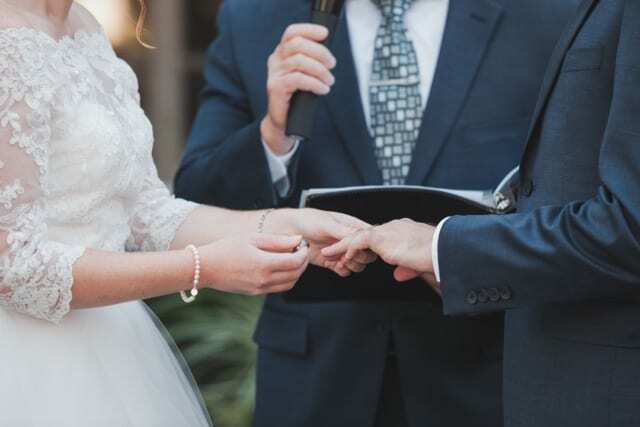 When we were getting ready for our ceremony, our officiant sent us a few different ceremony scripts to choose, combine, and change as we pleased. My fiancé and I sat down at the computer one night and cut and paste together an original ceremony that we thought fit us. We loved how personal our ceremony was and, on top of that, we had fun working on them together. 7. Spending the wedding day together. It’s tradition to have the bride and groom in separate rooms before the wedding, but it’s your special day, and you deserve to enjoy it together. You might want to have breakfast together, get ready together, or just set aside a good amount of time for pictures before the ceremony. My husband and I loved taking pictures before our wedding because it gave us some time to enjoy each other’s company before our guests arrived. Seeing each other helped us both stay calm before the ceremony and we were so thankful for the extra time together on our wedding day. Time goes by so quickly during the ceremony, and before you know it, the reception is over. That time of excitement spent together before the ceremony might just end up being what you cherish most. There are so many wedding traditions… but that doesn’t mean you have to follow every one of them. 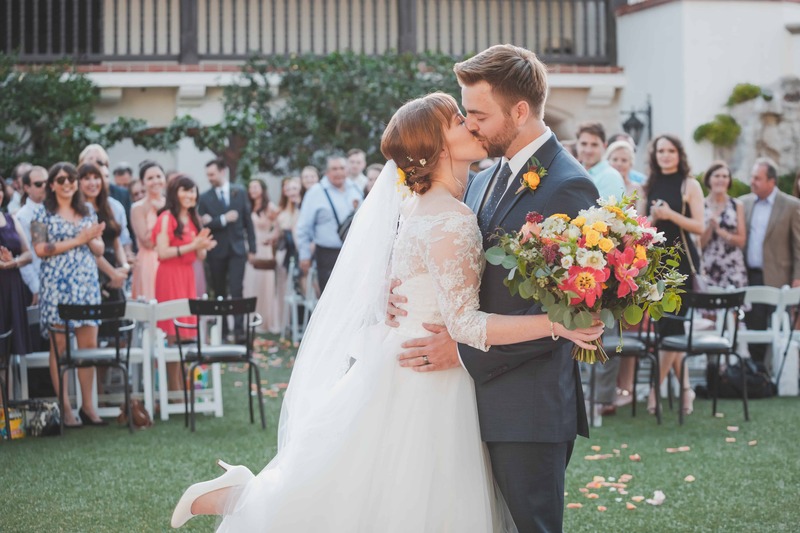 You’ll find that the best wedding memories are the ones you and your spouse share together, so don’t be afraid to put a twist on tradition and make your wedding your own.